We are more than just a top-notch Strategic Marketing & Advertising Agency as you will soon discover on our site. We believe that abundance is not a dirty word. In fact, it is what we are all about at The Cate Agency. 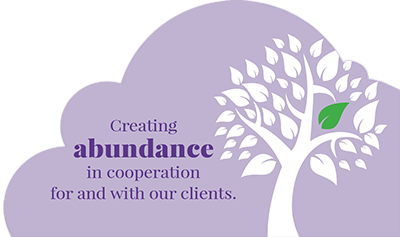 Abundance is a wonderful state of being as well as a great place for our clients to dwell. So – our goal – our mission – our passion is to intentionally create that sweet spot for every person and business that we have the privilege to serve. Are you a BUILDER or REMODELER? Are you a BUILDER or REMODELER? Are you a FRANCHISOR looking for marketing support? Are you a FRANCHISOR looking for marketing support? Would you like to increase your ROI? Would you like to increase your ROI? Are you a small business that wants to GROW? Are you a small business that wants to GROW? Do you need an awesome website like ours? Do you need an awesome website like ours? We work FOR and WITH our clients to do exactly that – and in whatever way they need. The Cate Agency offers a wide variety of marketing services for all types and sizes of businesses. We can work with any marketing budget and offer maximum results. The CateAgency has worked with hundreds of franchisees nationally and their franchisor providing a vast array of services. The Cate Agency knows how to drive traffic because we know how to emotionally appeal to the home buyer. We understand that you are the expert at home building and we’ll show you why we are the experts at builder marketing.